January and February are traditionally the coolest months on the Algarve, the perfect time of year to get out and about and do some exploring. Although it’s often warm and sometimes hot in the sun during the day, the nights are cooler and definitely jacket weather. As we’ve been on our travels, it’s been lovely to see that the spring flowers are starting to bloom with the pretty almond blossom being one of the first to appear. Recently we took a trip to Monterosa, a wonderful small artisan olive oil producing factory. Set in 20 hectares of olive grove in Moncarapacho, near Olhao, the olives at Monterosa are handpicked every Autumn using up to 30 trained pickers. The olive oil is produced using five different varieties with each one having its own distinct characteristics. 10,000 litres of oil are produced annually from each picking at Monterosa! This wonderful business was started in 1969 when Detlev von Rosen moved from Sweden to Portugal to produce iceberg salad, tomatoes and dill during the winter months. There were some difficulties in exporting the produce quickly, so the company started producing olive oil in 1972. 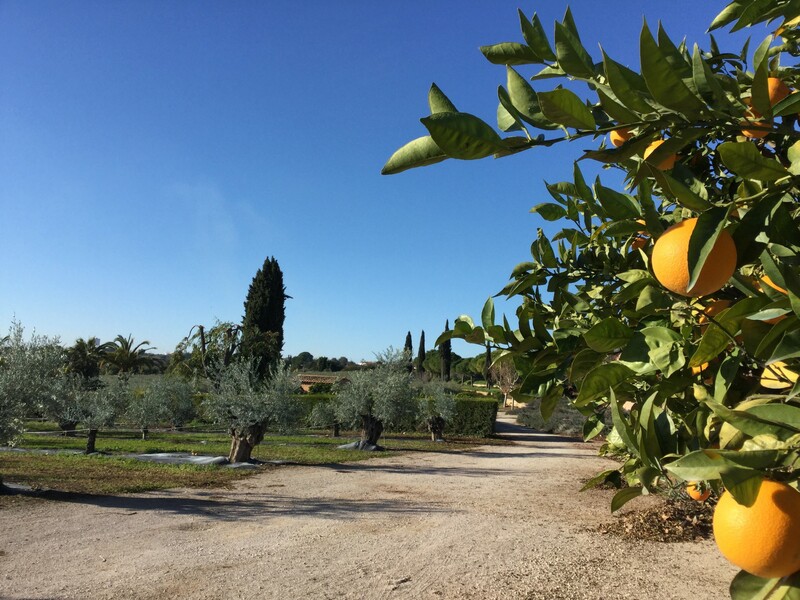 There had been several years with very little rainfall, and as the olive trees on their land needed very little irrigation, they were an ideal new venture for the business. 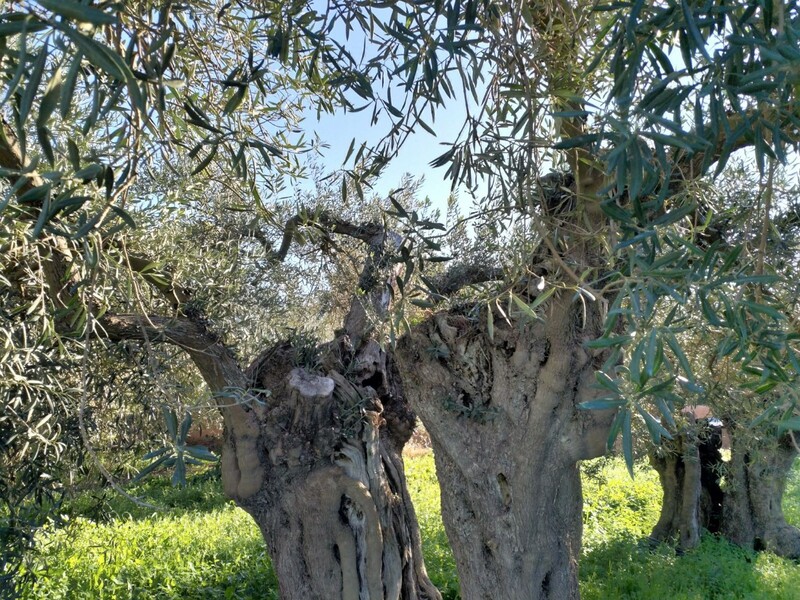 Now for a little history – did you know the production of olive oil started around 4000 years ago BC and the tree below is thought to have survived for the last 1000 years? An olive tree is not really a tree but a bush – a man shaped tree to make it easier to maintain for collecting the olives as a bush can grow up to 20 metres. The bark of these trees grows from the top to the bottom and forms thick large trunks through oxidation, which over time splits into two to three parts like the tree below. An adult tree must be about 20 years old and it would be at least four to five years old before producing any olives. In fact there are around 700 varieties of olives overall. At Monterosa they use an integrated system which is environmentally friendly, where they prune the trees after picking the olives, stripping and shredding the leaves on the ground beneath the tree so it produces compost. The residue waste is sold as a biofuel or used as fertiliser for the olive groves and the ornamental plants that are also grown on this impressive site. After picking the olives they are taken to the pressing room where they are washed and weighed ready for the next stage. In this production both the granite stone and hammer mill processes are used to grind the olives into a paste. The oil is then extracted using modern machinery and equipment. Finally it is filtered and stored in stainless steel containers for two to three months until it is pure and develops its unique flavours. After a pleasant and peaceful stroll through the olive groves admiring the trees and calming surroundings, we headed for the pressing room and the tasting to discover the characteristics of this production of extra virgin olive oil. Extra virgin olive oil is the highest category of olive oil. It must have no defects and must have the following three attributes: fruity, bitter and pungent (or peppery). With the same panache as wine tasting a small amount of oil is put into a glass which needs to be covered and warmed in your hands. After 20 seconds you can smell the highlighted aroma and then taste the oil, swirling it in your mouth before swallowing, sucking in the air as per wine tasting to heighten the flavour of this delicious smooth oil. There are five different varieties in all with a special flavour in different strengths and pungency. 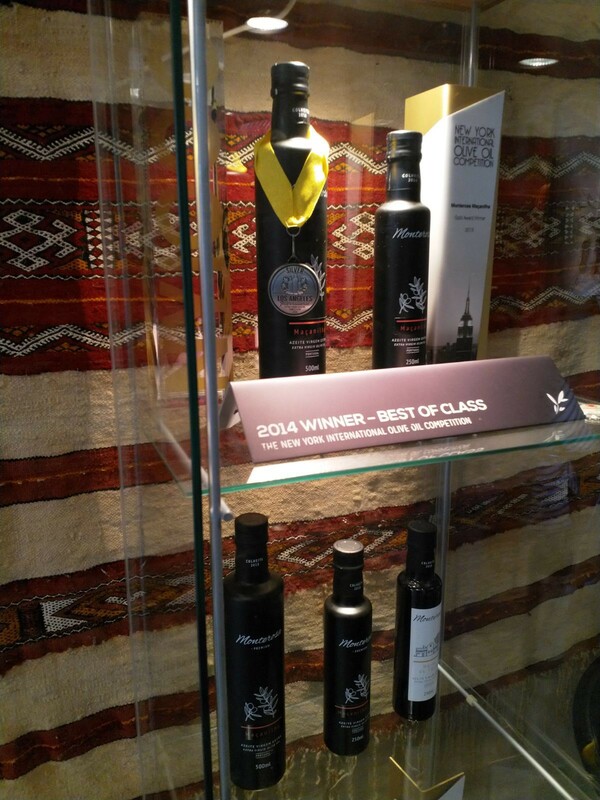 The Monterosa olive oil has won many accolades and medals worldwide which puts this small artisan producing factory from the Algarve firmly on the world map! 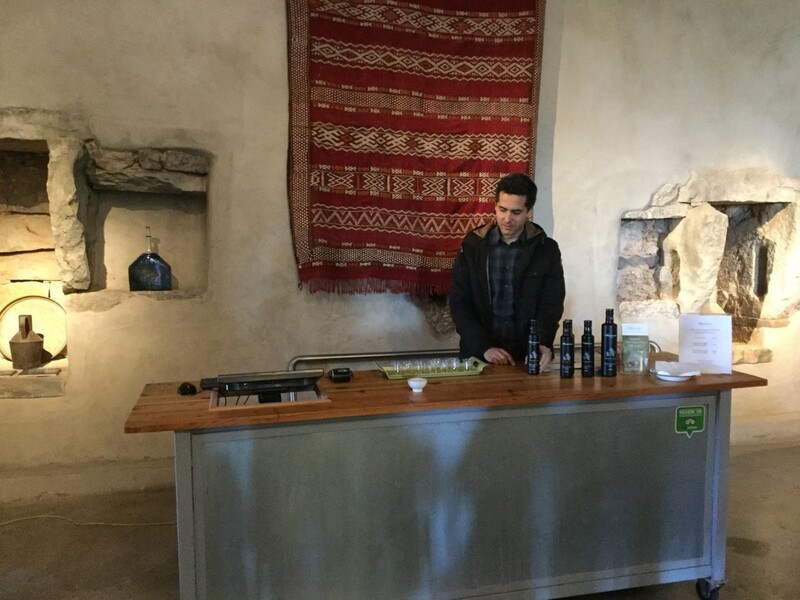 Tickets cost €7 per adult and you can buy olive oil samples after the tour. There’s plenty happening on the Algarve during the weekend leading up to Shrove Tuesday (13th February) being a big date in the calendar for Carnival Time! Loule’s tradition dates back more than a century, where the town hosts a traditional Brazilian style Mardi Gras Carnival Parade. On Saturday afternoon the most famous cortège with political and social satire will have 14 floats, samba school dancing, giant puppets, giant heads and cleverly painted dancers performing traditional dance routines on the carnival floats! This event really is the highlight of Spring and we’ll bring you more photos in February’s blog! if you’re out and about on the Algarve don’t forget to share your experiences with us on our Facebook and Instagram pages!